Join Belgard in supporting America's troops and their families. At Belgard, we understand there's more to making one than simply the quality products we provide. We believe home's truest meaning can be found in the people we share it with — especially in our loved ones who serve and the grateful nation they defend. To all those returning from service on our behalf, all of us at Belgard proudly say… "welcome home." Install a Belgard patio, driveway or walkway between now and Veteran's Day and we'll donate $100 in your name to the USO in support of America's servicemen and women and their families. If you are a Belgard Authorized Contractor or Dealer, download our informational sheet on how you can be involved directly with supporting the USO. Your support of the Belgard Welcome Home campaign will help the USO continue its mission of lifting the spirits and touching the lives of America's troops and their families. For nearly 75 years, the USO has remained the only nonprofit organization committed to supporting the men and women of the U.S. military and their families from the moment they join, throughout their service and as they transition back into their communities. We hope you'll join Belgard in honoring the sacrifices made daily by America's military personnel and their loved ones. 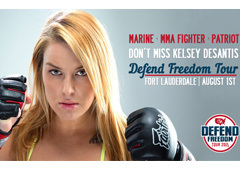 To learn more about the USO visit USO.ORG. Over the past few months, the issue of Individual Unemployability (IU) has been both a topic of discussion and one of rising concern for DAV and its members. A hearing regarding IU was held before the House Veterans' Affairs Subcommittee on Disability and Memorial Affairs on July 15, 2015. 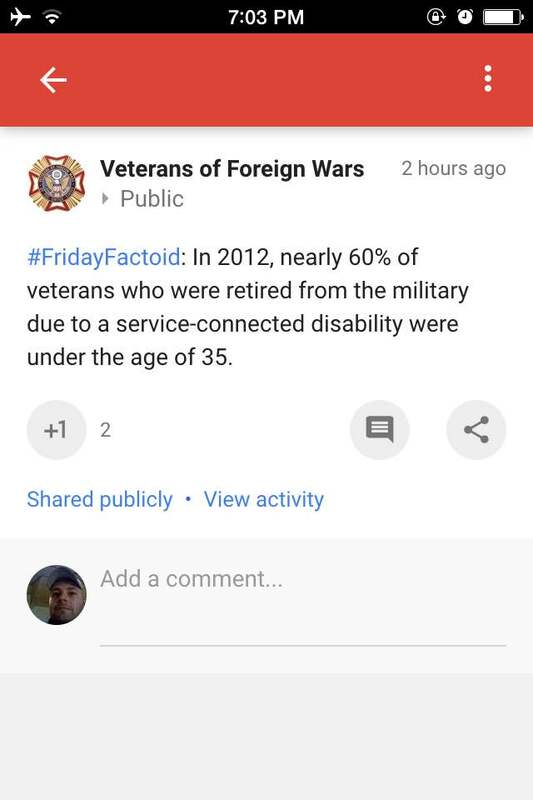 According to the Department of Veterans Affairs (VA), for eligibility to IU, a veteran must be unable to maintain substantially gainful employment as a result of his or her service-connected disabilities. Marginal employment, such as an odd job, is not considered "substantial gainful employment" for VA purposes. In addition to the employment barrier, a veteran eligible for IU must have one service-connected condition ratable at 60 percent or more disabling, or two or more service-connected disabilities, at least one condition that is ratable at 40 percent or more disabling, with a combined rating of 70 percent or more disabled. Reports published by the Congressional Budget Office in August 2014 and the General Accountability Office in June 2015 made recommendations for substantial changes to the IU program. If implemented, these changes would cause significant financial harm to wounded, ill and injured veterans, their survivors and dependents. Many of the views expressed within these reports are quite troubling, particularly the notions of restricting, limiting, or eliminating entitlement to IU on the basis of age and offsetting IU benefits when veterans are in receipt of other earned federal benefits such as military compensation or Social Security benefits ; concepts that DAV vehemently opposes. No legislation has been introduced to address IU, but discussions are underway. DAV wants the voice of DAV members, the auxiliary and other DAV supporters who are concerned about the preservation of veterans' benefits to be part of this discussion. DAV asks you to contact your elected officials with the letter provided, or please write your own letter for the same purpose. On June 3, 2015, Senator Johnny Isakson, with numerous cosponsors, introduced S. 1943, a bill that would authorize cost-of-living adjustments to the rates of compensation for veterans and survivors. The bill was referred to the Committee on Veterans' Affairs for further consideration. As in recent years, this bill does not contain any round-down provision. Please write your Senators today to urge them to cosponsor this measure and work for its enactment prior to the end of first session of the 114th Congress. Our View: How many vets died waiting for care? VA records are such a mess that we'll never know. With the Department of Veterans Affairs, it is always wise to assume things are worse than they first appear. Since the VA's appalling care scandals were first exposed by The Arizona Republic in early 2014, the agency's problems invariably have proved worse than investigators first were led to believe. A new inspector-general report exposing details of the VA's appalling system of record-keeping validates the cynicism. As of September 2014, the Veterans Health Administration had approximately 867,000 pending applications, three quarters of which had been created more than five years earlier. 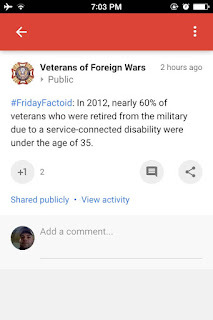 Data from the Social Security Administration, a far more professionally run government agency, showed more than a third of those -- 307,000 vets – were dead. The inspector general launched the investigation at the request of the chairman of the House Committee on Veterans Affairs, Rep. Jeff Miller, R-Fla.
Miller, the nation's most persistent VA detective, had uncovered evidence that perhaps 47,000 vets had died while their applications for VA health care were pending. The true figure proved to be six times greater. Six times worse than he thought. It gets still more discouraging. It has been more than 20 months since The Republic's Dennis Wagner first uncovered the VA's duplicitous waiting lists for vets seeking to enter the health-care system. Since then, according to the inspector general, the agency still "has not adequately established procedures to identify individuals who have died, including those with pending health-care enrollment records." The agency also may have deleted more than 10,000 unprocessed applications, simply because they had reached the agency's five-year expiration date. Many of those unprocessed applications had been marked as completed. As reported by Wagner, the agency recently submitted a plan to improve its record-keeping technology and practices. We are not hopeful. Even as it has attempted to address the issues exposed first at the Phoenix VA hospital, the agency has consistently demonstrated an inability to anticipate the level of services that veterans, especially those returning from war, will need. That planning haplessness has sent the VA tumbling into chronic budget shortfalls for two straight fiscal years. When are they going to learn? The answer to that question is becoming increasingly, tragically, apparent. Perhaps never. "This veteran's claim came across my desk for appeal review," said VFW Service Officer Mary Bandini of California. "I could not get in touch with him for months, but I continued to work the case on his behalf." The veteran is John Rizzo*, a Marine in the Battle of Guadalcanal and Air Force pilot in the Korean War. During Air Force training, Rizzo's plane crashed, breaking his back and ending his accomplished military career. Rizzo was medically discharged and filed his first VA claim way back in 1954. He was denied. In 2008, he submitted another claim. This time for a wheelchair ramp. Again, denied. The unjust denial cost him a broken hip …twice. "With the help of our National Veterans Service team, we were able to argue for the secondary conditions that required Rizzo to use a wheelchair," said Bandini. "When I finally got word that his claim was headed to the court, I submitted a written statement of support. I still couldn't reach him, so I relied solely on his file." Rizzo didn't ask for much. All he wanted was a ramp. What he got was full benefits and six-figure retroactive pay dating back to 2008. When Rizzo's check arrived in the mail, he was skeptical. This must be a clerical error, he thought. He had no idea that someone was still fighting for him. "He wanted to meet so he could thank me personally, but I feel like he's the one who deserves the thanks for his service," said Bandini. "Seeing a veteran get approved after so many years is the best part of the job," said Bandini. "I was not able to get him a ramp, but I did get him enough money to build one. The contractor starts working on it next week." "Veterans should put as much priority on advocating for themselves now as they once put on protecting this nation. They have earned that right," Bandini concluded. "I applaud my colleagues for stepping up today to address the troubling lack of accountability eroding VA's ability to care for our veterans. The VA Accountability Act will provide the Secretary of the Department of Veterans Affairs the ability to make real reforms and bring much needed accountability to the department. Today, we stand with our veterans because the status quo has failed them and the American people for far too long. "Just over two weeks ago, the Department of Veterans Affairs announced that because of its inability to budget, VA hospitals around the country would be shutting down in August. Today, the House passed the Surface Transportation and Veterans Health Care Choice Improvement Act of 2015 to ensure that does not happen. The bill is designed to rescue a mismanaged VA, providing the resources to keep the doors open, expanding access and choice to veterans and setting the stage to consolidate VA's uncoordinated and wasteful non-VA care programs into the Veterans Choice Program. While we fully support the Department of Veterans Affairs (VA) and believe the VA health care system is the best model of care to treat service disabled veterans, DAV is not satisfied with the state of VA today. 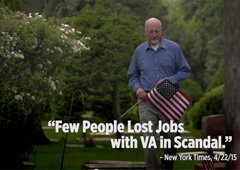 VA absolutely must reform from top to bottom and must refocus its work squarely on veterans. As we reported last week, there are some key reforms that are essential for building a healthy and robust VA health care system for the 21st Century. Congress must commit to provide the VA the resources it needs to modernize, rebuild and sustain its internal capacity to provide timely, high-quality health care. To better serve veterans, VA needs to restructure and consolidate all non-VA care programs into a single integrated Extended Care Network. VA must also realign and expand its health care services to meet the diverse needs of all generations of veterans, beginning with establishing new urgent care centers out in the community, and continue its extended operating hours. Finally, VA must reform its management culture through increased transparency and accountability. As we previously noted, some elected officials are proposing additional reforms in VA health care that we believe would ultimately weaken the system and move VA in the wrong direction. We have warned that these types of proposals risk eliminating VA as a direct care provider-and will fracture the care that veterans would be able to find for themselves. Overly simplistic "choice" proposals sound good, unless you are a wounded, injured or ill veteran with complex and specialized medical needs who is left on his or her own to find care in the private sector, equipped only with a card. DAV needs grassroots support, and your direct experience with VA, to remind Congress-and even your own VA facility, why the VA system is essential and important to you as a disabled veteran. Most importantly, please tell them we want to ensure veterans have the choice to get all or most of their care from VA, and for VA to have the resources and flexibility to provide coordinated care in the community when necessary. In Washington, DAV continues to work with our service organization partners, and with the Administration and Congress, to address the problems that have been identified. We must work together to ensure a viable health care system for ourselves now, and for future generations of disabled veterans. We hope in these messages that we have been able to convey the seriousness of the situation, what is at stake for you, and for all veterans nationwide. We are approaching a Presidential election year and it is more important than ever to collectively make our voices heard. 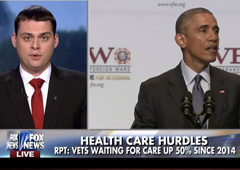 Between now and the November 2016 election, it is likely the future course of veterans health will be decided. Please let your elected officials know what is important to you as disabled veterans, and what we need, deserve, and expect from our VA.
DAV hopes this information has helped you understand and appreciate why we are steadfast in our belief that VA is a vital national asset to disabled veterans. We recognize that some veterans have had a negative experience at VA and we appreciate you providing us that feedback. DAV's goal is to ensure VA is reformed and services improved so that all veterans who chose VA are treated with the dignity and respect they deserve and most importantly get the care they need in a timely manner. Please join us in this battle. 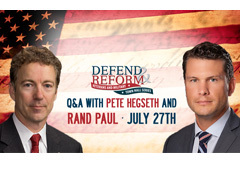 Top Story: Veterans & Military Town Hall with Sen. Rand Paul coming MONDAY! A weekly Situation Report on CVA's efforts and media. The Florida Times Union recently reported that Cathedral Henderson, "the person in Augusta responsible for ensuring that more than 2,700 veterans awaiting approval for care outside the VA were properly handled," has been indicted on 50 cases of "making false statements"-i.e. falsifying veterans' records. "The crime is punishable by a maximum sentence of five years in prison and a $250,000 fine."